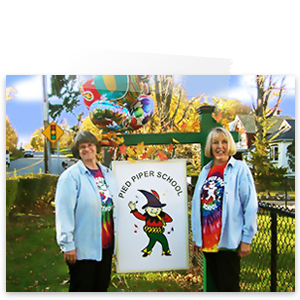 Pied Piper will be on a delayed opening schedule today, January 8th. Morning ONLY 9-11:45 students are cancelled for today. Full day students 9-3 sessions will begin at 10am. Afternoon(PM) students 12:15-3 session will begin at its normal time. We have arrived at our first week of Summer Camp!! We are very excited to have lots of Fun In The Sun. Reminder that we NEED your immunization/medical before your child can attend camp. If you have not handed it in please have it faxed to (914)962-5199 or bring it in and hand it to Max. Please remember to label all clothing items and personal belongings. Please make sure you take a camp t-shirt and feel free to wear them anytime. Pick up passes are available at the front entrance for easy pickup. If we do not know you and wish to have other people pick up your child make sure you give them a pickup pass. All new campers who might experience separation anxiety should arrive at 9:15 to avoid the main drop off time. This creates a smoother transition and helps them acclimate easier. All new students must have a name tag on so we can learn names easier. Ice Cream Wednesdays- Every wednesday during summer camp Seven Scoops in Shrub Oak will be providing Ice Cream and sprinkles to the campers. If you would like your child to participate please send in a envelope with $3 in it and be sure to bring more money during pickup so parents/guardians can enjoy some ice cream too. LETS HAVE A GREAT SUMMER!!! Yorktown Central School District is closed today May 16th due to power outages in the area. We will also be closed due to the power outage at Pied Piper. All conferences that are scheduled for today will be made up a different day. We are very sorry for any inconvenience this causes and hope that power is restored today so that we can get back to school. Yorktown Central School District has decided to close today, Monday April 2nd. Pied Piper will also be closed due to the hazardous road/weather conditions. Everyone please enjoy the snow, try to stay warm and drive safe. Make sure to bring in snow apparel on Tuesday to play in the snow(If it is still here)! Pied Piper will be on a delayed opening schedule today, April 2nd. Morning ONLY 9-11:45 students are cancelled for today. Full day students 9-3 sessions will begin at 11am and afternoon students 12:15-3 session will begin at its normal time.